This article was first published in The Travel Intern on 27 June 2018. Helmed as Indonesia’s cultural capital, photographers would fit perfectly in Yogyakarta (‘Jogja’ for short) like a well-tailored coat. After all, the city is a place brimming with life — her people heart-warming, her cuisines vibrant and intensely flavoured, and her sceneries endearing. While some travel to Yogyakarta for her otherworldly adventures, there are also those who seek an entirely invigorating experience. Opening doors to aspiring and professional photographers alike, Unusual Expedition offers the perfect opportunity for those who enjoy travel photography. Here are 10 unique sights we explored with Unusual Expedition, each with a photography tip you can apply on your next adventure to this city drenched in history and tradition. 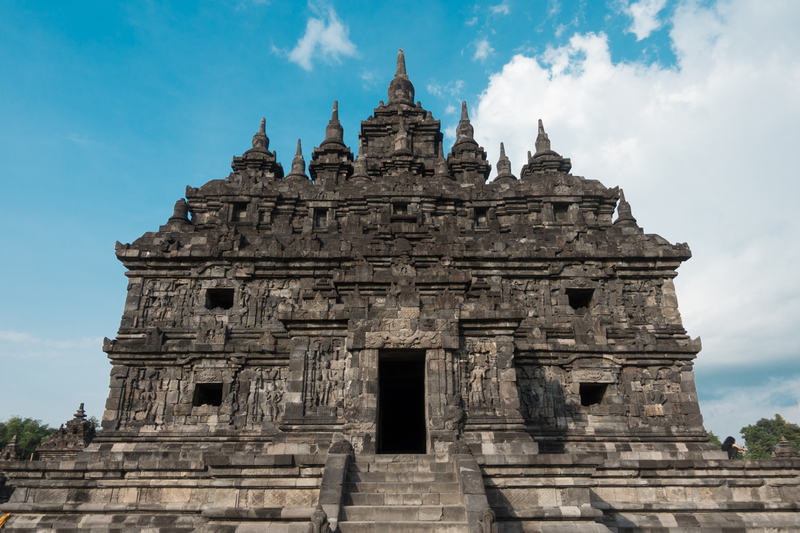 Located a stone’s throw away from the famous Prambanan, the Candi Plaosan, also known as the ‘Plaosan Complex’, has its origins from the 9th century. Having bid through the tides of time, the complex today comprises two derelict Buddhist temples, namely Plaosan Lor and Plaosan Kidul, and heaps of fallen rubbles, which make an excellent backdrop for any Instagram feed. *Photography Tip: Perspective matters. Sometimes, tilting your camera may offer you a new look to certain landscapes. At nearly 200 metres above sea level, Keraton Ratu Boko sits on the hills of Boko and offers avid photographers the perfect spot for capturing sunsets. While many archaeological discoveries were discovered here, much of the origins and functions of Ratu Boko still remain unknown. *Photography Tip: Subject matters. Landing a subject in your frame builds context and story in the image. 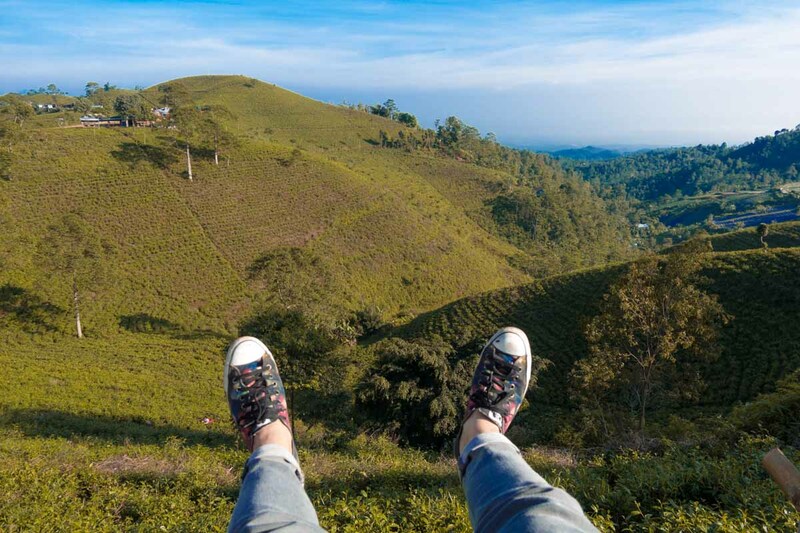 Quiet, quaint, and panoramic, the Kemuning Tea Plantation is the sanctuary for those seeking respite from the city. Arriving slightly before 6am, the workers were just starting to gear up in a makeshift shed. The makciks — the locals call them ‘Ibu‘ — were infectiously friendly and approachable. 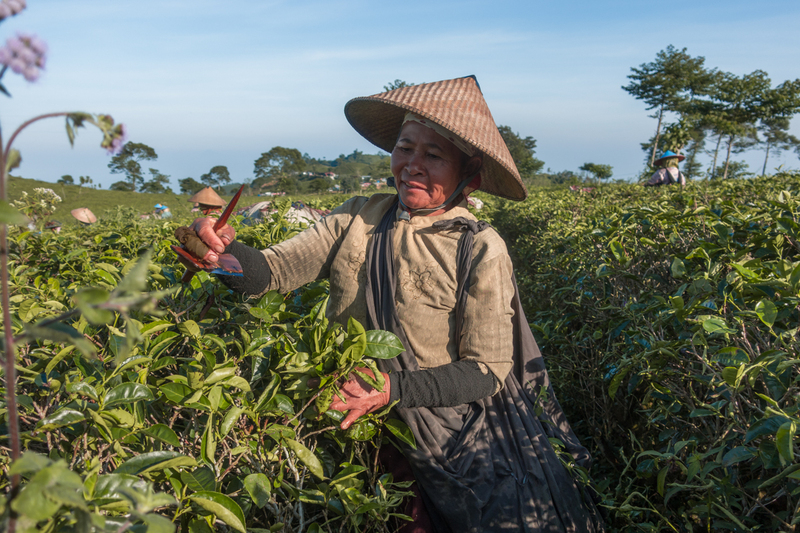 I later got to know that some of them had started this craft of tea picking as early as the age of 20. 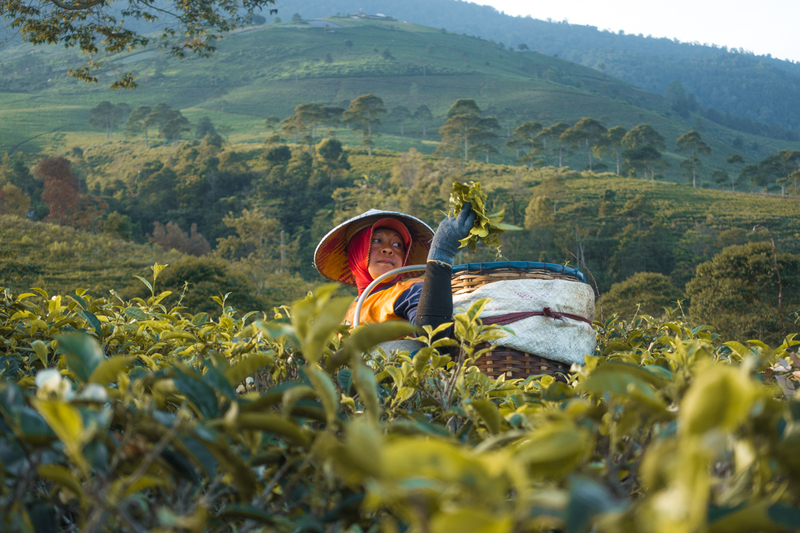 One Ibu told me the quality of tea leaves vary across the day so harvesting happens at dawn when it’s the highest. *Photography Tip: Foreground Interest. Having and focusing on a foreground element helps create depth in any picture. Photography expeditions are a dime in a dozen. With its meticulously planned itineraries, Unusual Expedition strives to provide participants with ample opportunities to photograph locals in an intimate setting. We visited some craftsmen for a shoot in their hometown, Solo, where they generously demonstrated the nuts and bolts of their creation. The shoot at the Gong-making factory was the most memorable. We entered the seemingly shabby shack, where an open furnace sits in one corner and a group of men prepares not too far away. It was a quite the sight to behold. 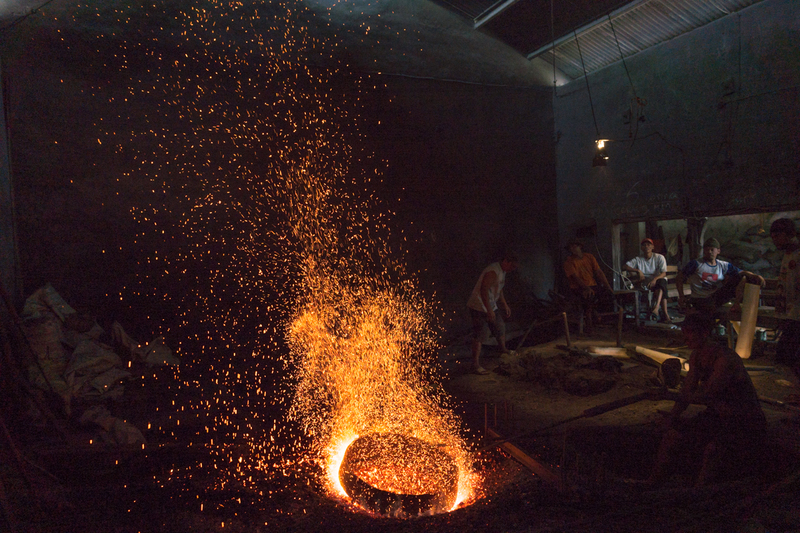 The process may be chaotic but not without a semblance of order: one craftsman tends to the furnace, adjusting the flame, while the others wait to weld the bronze metal. 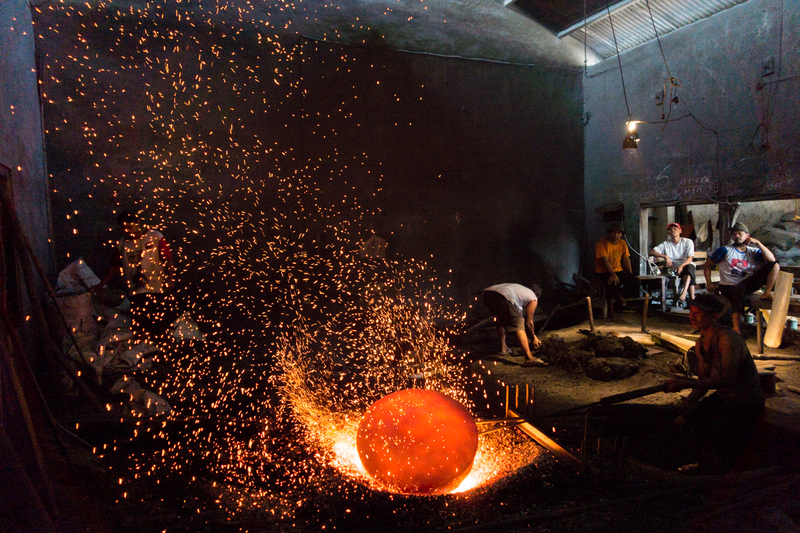 According to one of the craftsmen, it takes seven men six hours to shape, set, and weld the metal, and a couple more days to polish the gong. In what seemed like an eternity in the desert, we entered clean and dry but left drenched in perspiration and speckled with white soot. Mysterious and phantasmagoric, traditional puppet-shadow play, Wayang Kulit, plays an integral part in representing Indonesia’s rich culture. 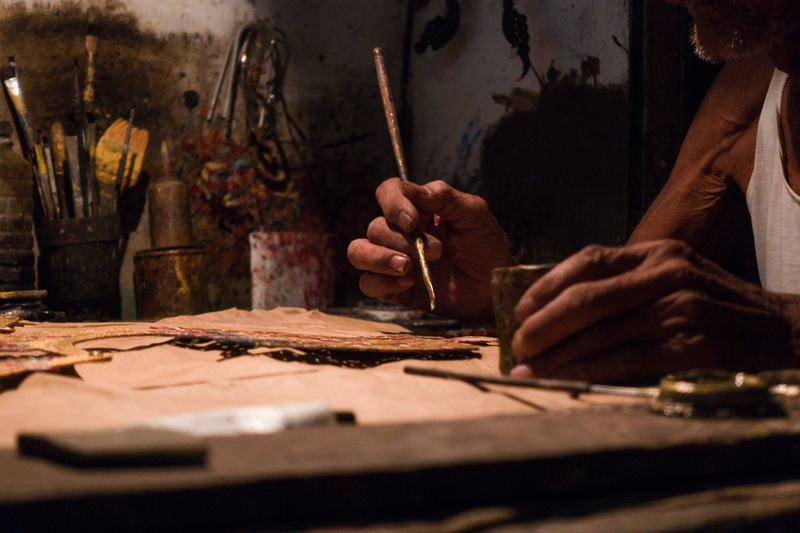 Unusual Expedition brought us to the home of one such master crafter, who has had more than 50 years of experience. Throughout, participants can expect guides dispensing advice on positioning, suggested camera settings, and the best ways to frame an image. *Photography Tip: Fill the image. Not only does this clear away the clutter in the background, it also gives the image the dramatic impact it deserves. 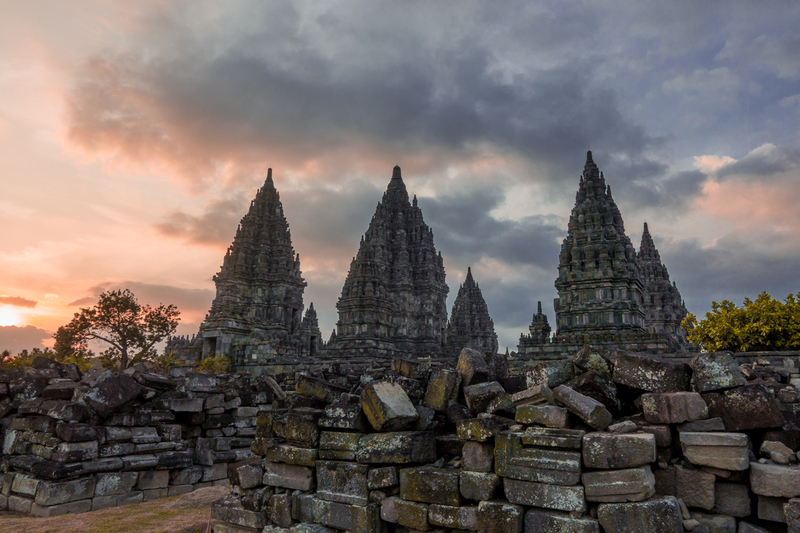 With origins from the 9th century A.D., the Prambanan Temple is the largest temple dedicated to the Hindu deity, Shiva, in Indonesia. Also reigning as one of Indonesia’s eight UNESCO heritage sites, tourists visit the temple for its renowned sunset and dilapidated charm. 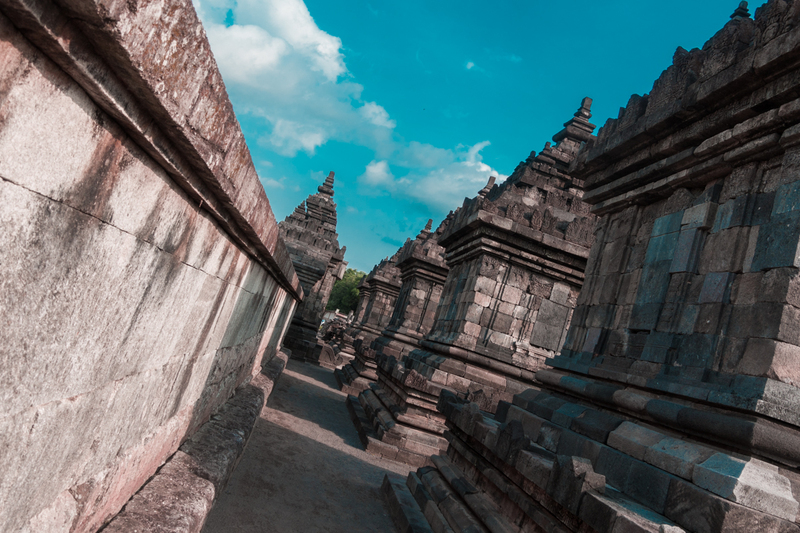 Another UNESCO heritage site, the Borobudur Candi Temple remains one of the most popular spots for those who relish in temple crawls. Famed for being the idyllic spot to capture the sunrise, one can expect throngs of photography enthusiasts and tourists waiting eagerly at the entrance in the wee hours. 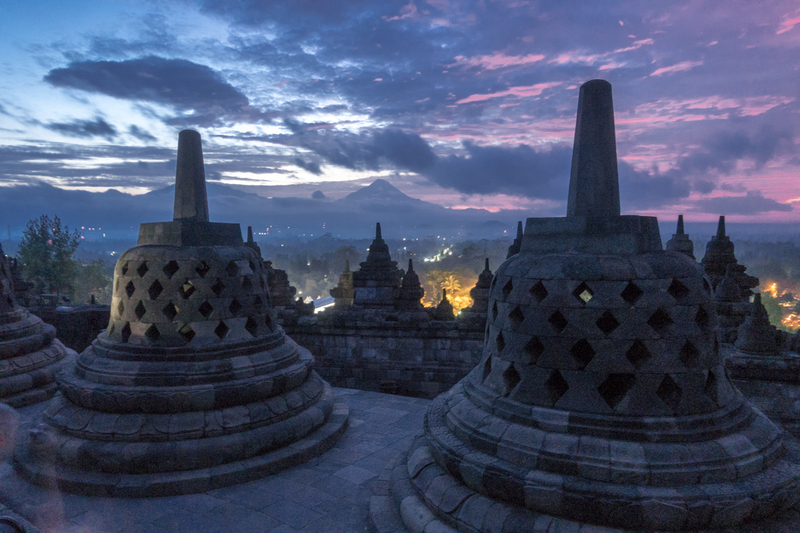 The best advice to catch the Borobudur sunrise at daybreak is to arrive early. Gates to the temple opens at 4.30am and you can most definitely expect yourself waiting in line to get the tickets. For some, the ascent to the temple may be somewhat arduous but given the majestic sunrise you are about to take in, I daresay it will be pretty worth it. *Photography Tip: Symmetry. Composing the subjects in an image such that it is symmetrical allows for the end-product to be balanced and look extremely pleasing. 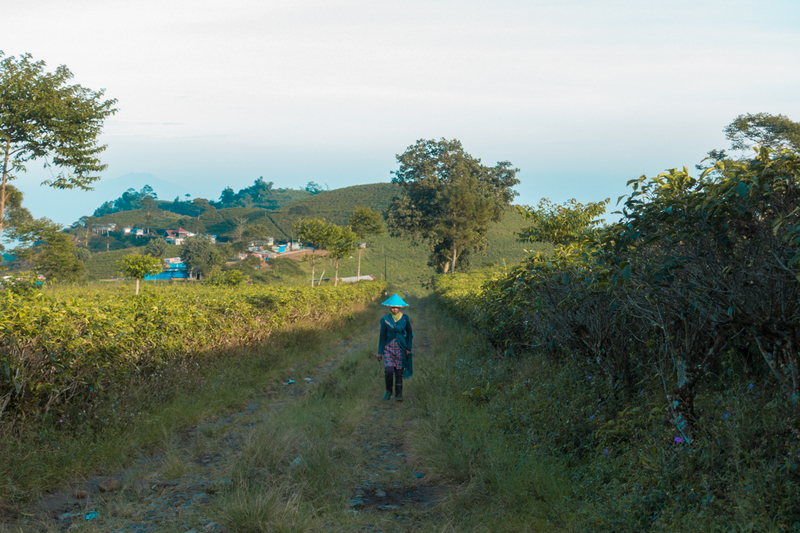 With the intention to feature the everyday lives of the locals, Unusual Expedition brought us to the seemingly secluded Klipoh Village, where much of the villagers’ livelihood is dependent on agriculture and pottery making. Pottery making requires two things: time and a pair of hands. The women of Klipoh village in Indonesia dedicate much of their life mustering and mastering the clay moulding. Clay is an interesting medium and only in delicate hands can they shine. It is an understatement to dismiss these women as mere villagers, on the contrary, these women are masters of their craft. *Photography Tip: Rules of Third. Focusing the subject on one-third of the image adds tension and more interest onto the subject. Seeking to expose and educate photographers on shooting at night or under low light setting, part of Unusual Expedition’s interesting itinerary features several night photography sessions. 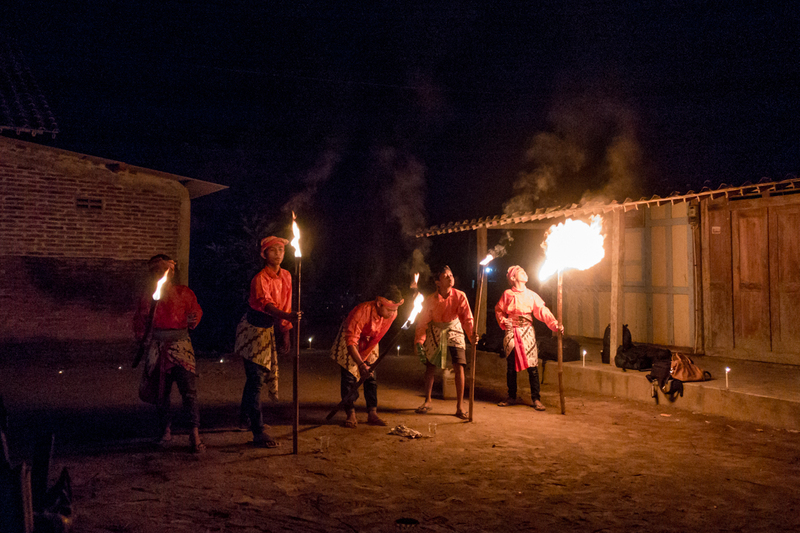 We visited one of the Kampungs in Magelang and were left bewildered by the villagers’ fire play performance. *Photography Tip: Centre the dominant eye. By placing the dominant in the centre of the image, you give the illusion that the subject’s eyes are following you! 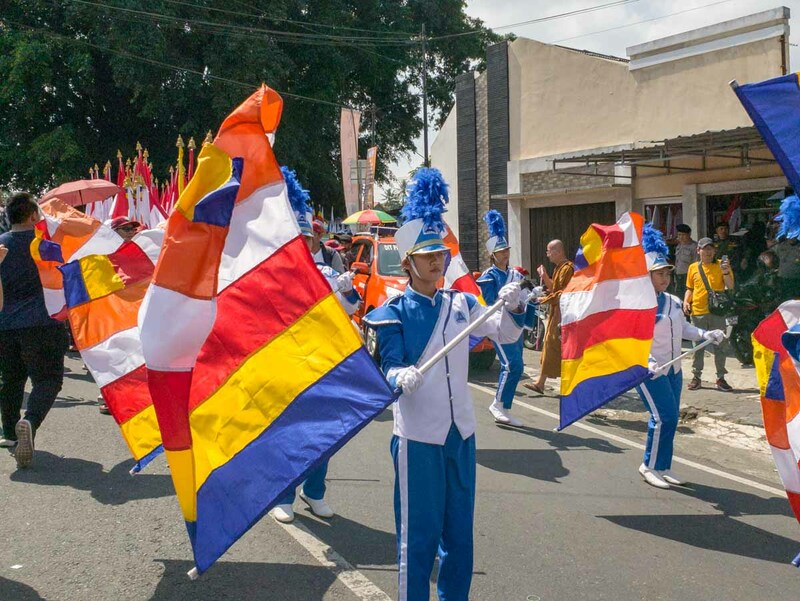 On Waisak Day, also more commonly known as Vesak Day, the roads leading to Borobudur Candi Temple burst into a flurry of activities. 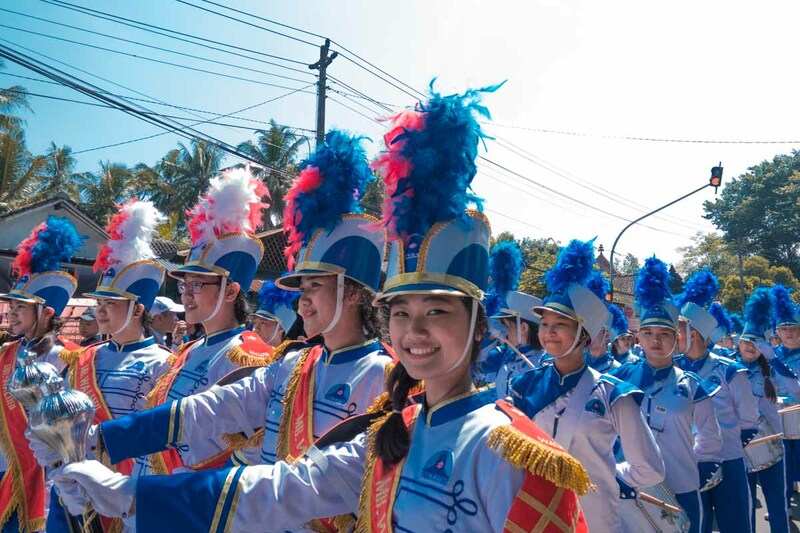 With the roads cleared of vehicles, the public roamed the streets freely, taking the opportunity to snap pictures of the marching bands and festooned vehicles. Some even joined in and marched alongside the ongoing parade led by the student-led marching band and monks. *Photography Tip: Engage with the subject. Sometimes all it takes is a simple compliment to get your subject smiling. 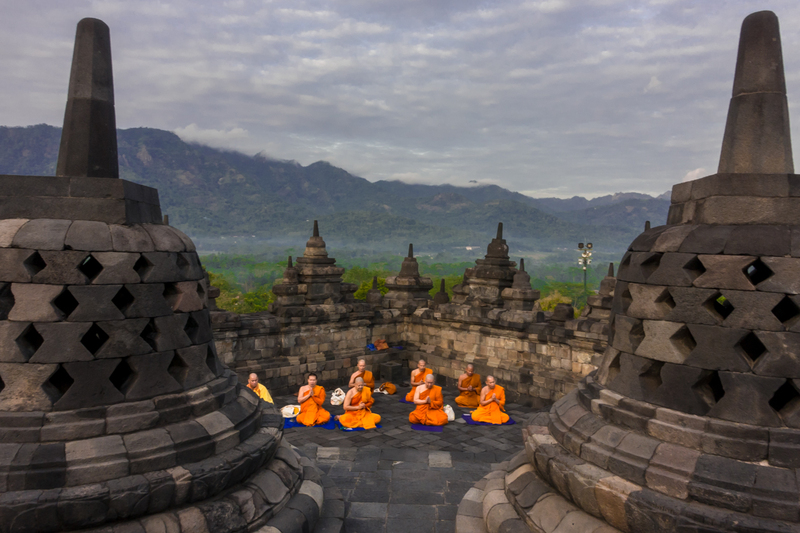 Commemorating the birth, enlightenment, and death of Buddha, the holy Waisak Festival is a grand affair in Indonesia, involving thousands of devotees from all over the world to flock to Borobudur Candi Temple. 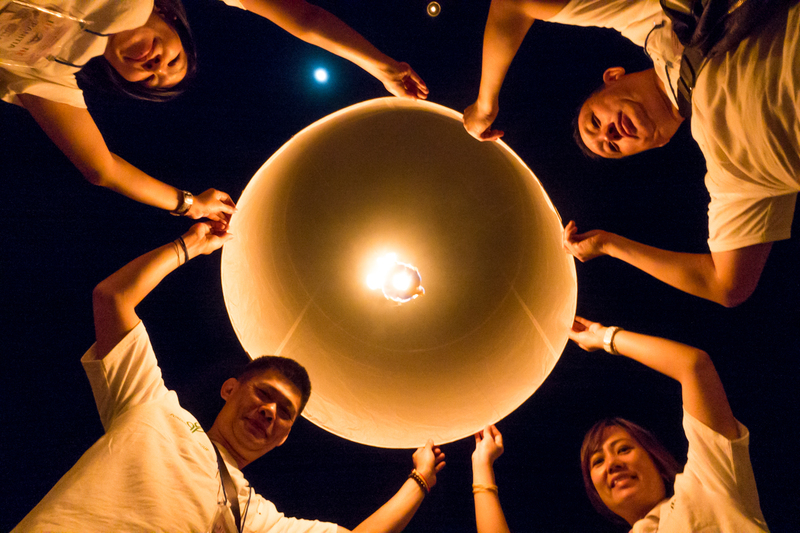 That night — joined by hundreds of monks — devotees gather for the procession of mass chanting, praying, and eventually participating in the release of the sky lanterns. 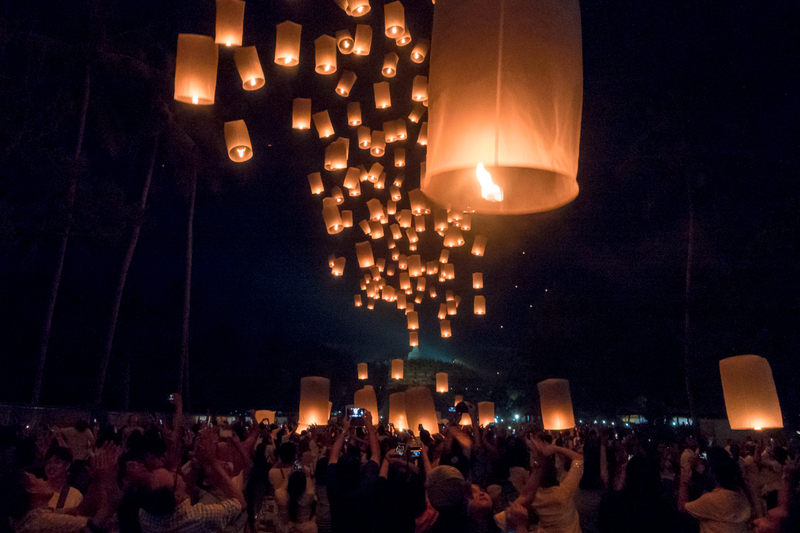 It was truly any photographers’ (and travellers’) dream to witness and capture the majestic moment of the lantern release, which illuminated the night against the backdrop of the Borobudur Temple in Yogyakarta. Founded in 2014, Unusual Expedition conducts overseas photography expeditions for aspiring and professional photographers who desire to see the world and improve their photography skills. Led by a team of passionate and professional instructors, participants can expect themselves receiving loads of tips on image composition, finding the ideal camera setting, and attaining the relevant techniques to capture the perfect moment. My trip with Unusual Expedition may have been short but in many ways, it was fulfilling. Unusual Expedition’s fuss-free itinerary not only eliminated a photographers’ trouble of scouring for places to shoot in a foreign land but also offered me ample space to ponder about the things I want my audience to see. Because sometimes all it takes to seize the perfect shot is for one to immerse in the environment. Check out Unusual Expedition’s Facebook and Instagram pages for more travel inspiration! This post was brought to you by Unusual Expedition.